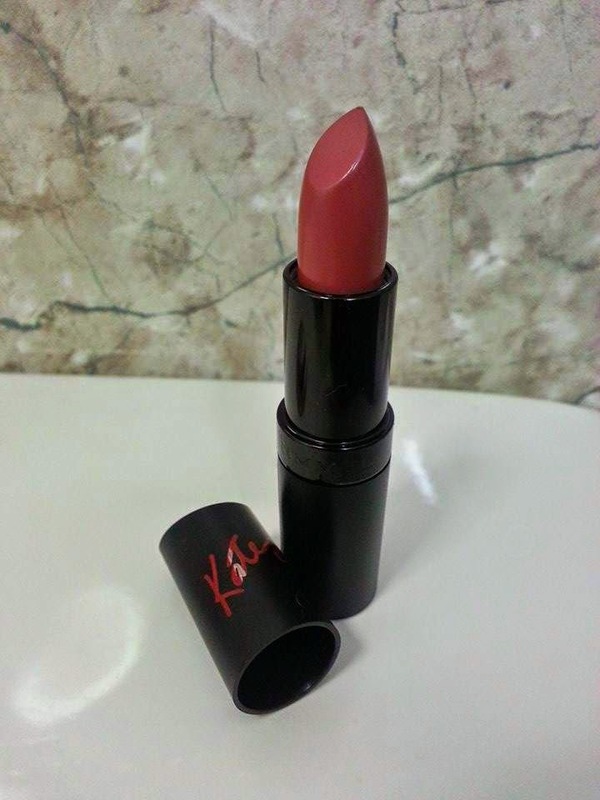 Company/Brand Claim: The 1st lipstick collection created by Kate Moss. High intensity color for up to 8 hours. Formula infused with black diamonds, reflects light like never before. Captures all the flair, edge and timelessness of Kate's unique look. Packaging: There are two types. A matte black tube and a matte red tube. Both have Kate's signature printed on the cap. Texture and Feel: Both glide on quite smoothly. 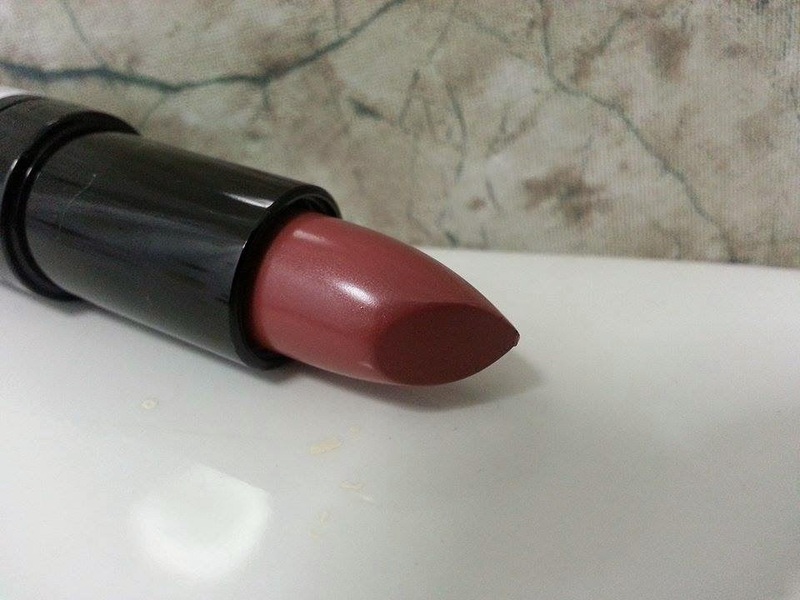 # 08: Is a creamy warm mauve pink. 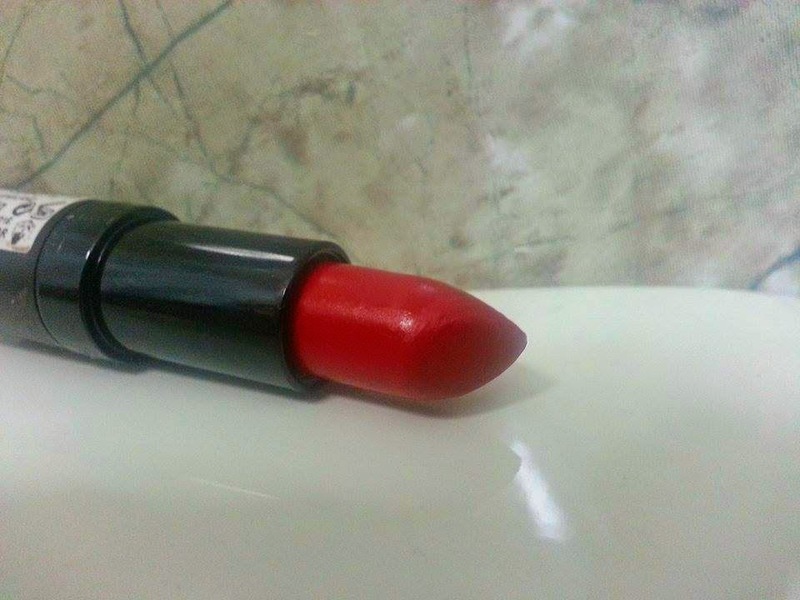 # 10: A striking matte red. Fragrance: Both have a pleasant mild creamy smell. 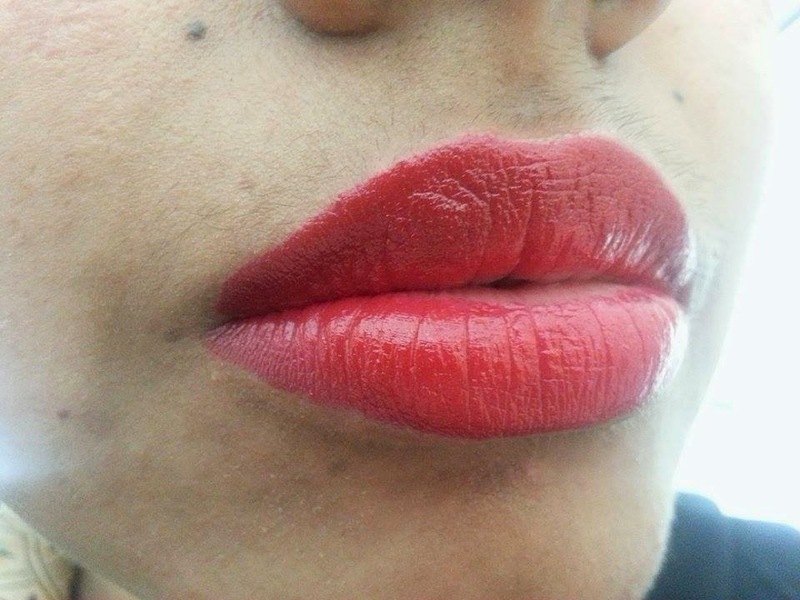 Application: Like a regular lipstick. Result: Lipsticks happen to be one of my favorite products from Rimmel. First I bought the Lasting Finish lipstick in the shade undressed (read review) which I still use to this day and next I bought one of the Kate Moss ones. There's not much a of a difference in the price but I think I prefer the Kate ones more. 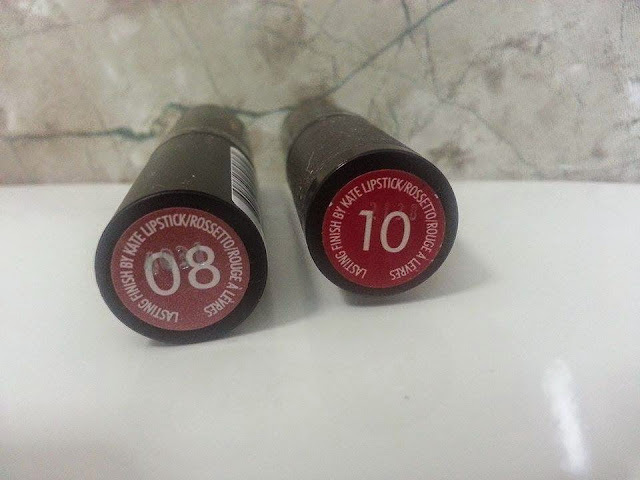 I bought # 10 first which is a seductive, bright matte red. It's absolutely beautiful and will conquer a makeup look on its own. 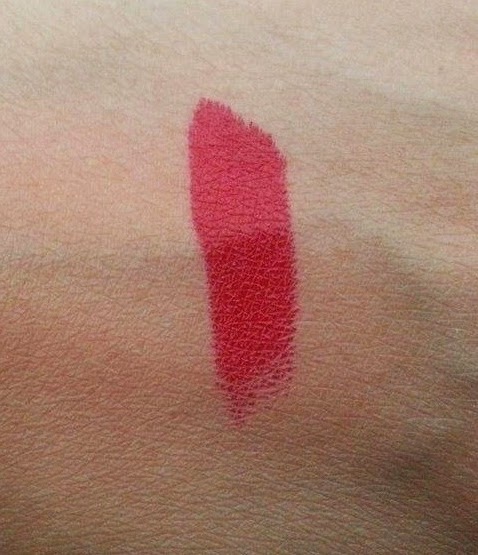 One swipe releases a lot of color and a few more cover the lips with ease. If you apply it over a chap stick it slightly shines otherwise turns out matte. 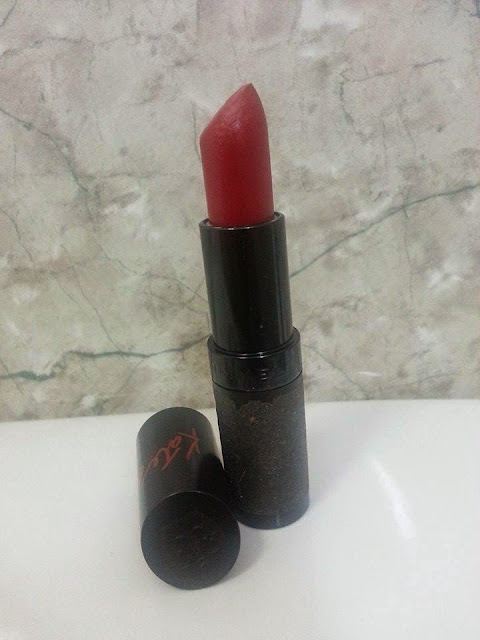 It's suitable for all skin types and specially wearable for fall. The not so good part is that it transfers a lot. It's almost never dry and will stain everything it comes across. One other thing I noticed is that it will cause a cloudy hue around the lips during summers and will transfer on the chin at times (God knows how). So I always need to check on my lips and clean up if it happens. I bought # 08 recently which is a cream formula and a nice everyday warm pink, suitable for all skin tones. It's a must have for working ladies. It will transfer more color if worn alone but over a chap stick, it tends to lighten a bit. It's very similar to my natural lip color which made with wish I'd gone for some other shade when I tried it on for the first time. Staying Power: #10 fulfills the claim. It stayed on my lips for almost 8 hours whereas, # 08 lasted hardly for 2 hours. Times Tested: # 10 several times and #08 3 times. Cons: If only # 10 didn't stain badly and # 08 would stay on longer, I would've given them that extra point. Rimmel Lasting Finish Lipstick by Kate Moss comes in 3 collections. The black tubes are the Lasting Finish Collection in 15 shades. 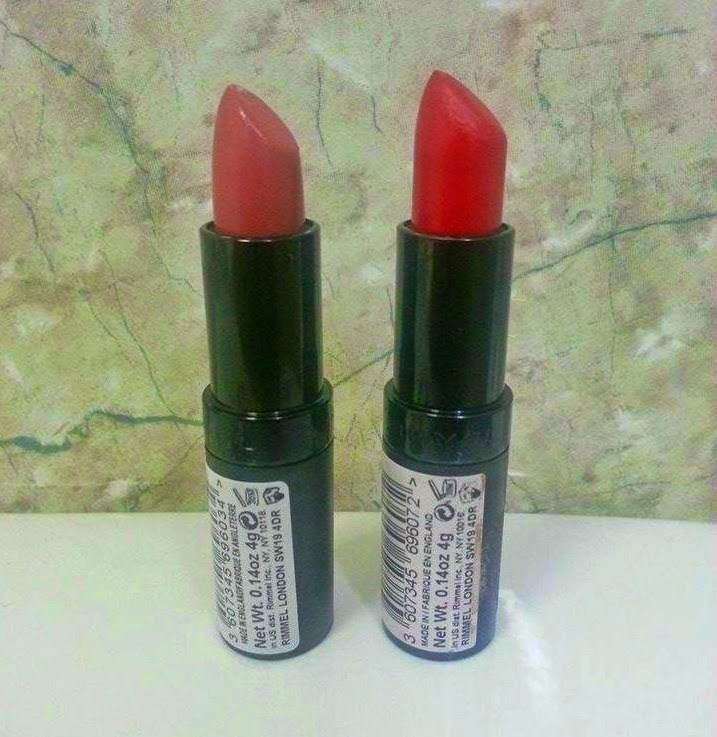 Then there's a Lasting Finish Matte Collection, which comes 10 shades in red tubes. Later Rimmel introduced the Kate Spring Collection which consists of 5 shades in black tubes. Pakistan: Rimmel counters and super stores across Pakistan. UAE: Rimmel counters across UAE and Boots pharmacies. 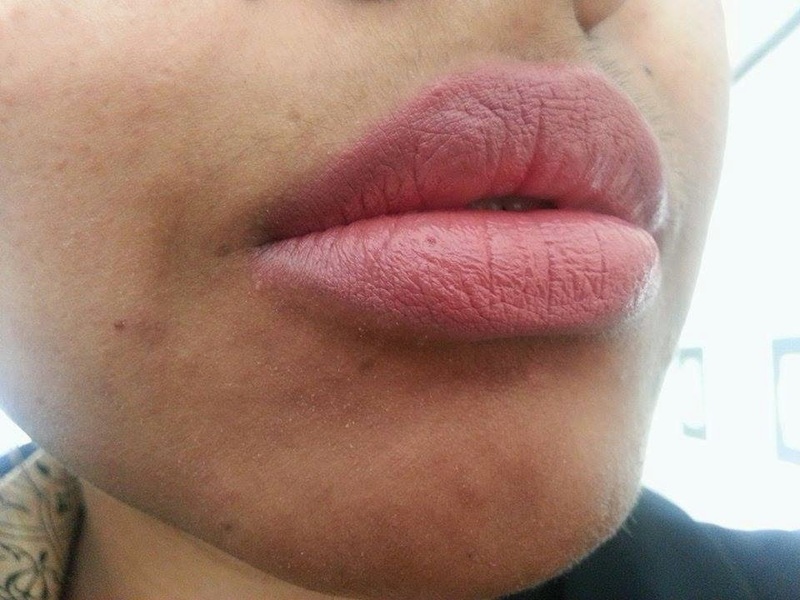 Alternatives: Luscious Cosmetics ultra moisturizing lipsticks are an alternate. Conclusion: The color range is beautiful. If the brand could only work on the quality issue, the rating can go much higher. Recommended? Yes. 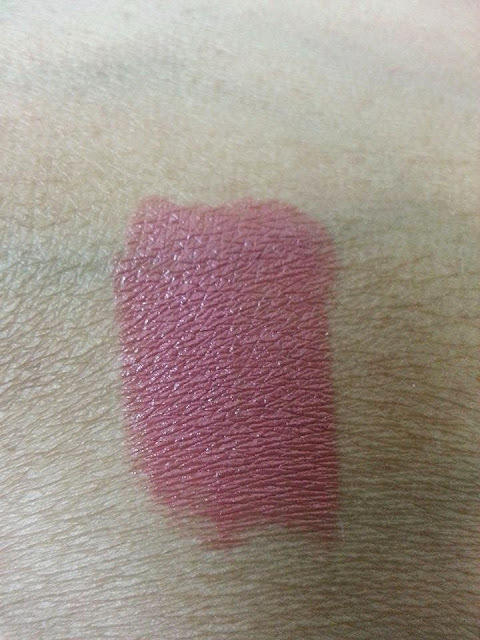 Such a lovely colors with reasonable price, nice review. OMG! The Red one (#10) looks gorgeous on you. I have become a big fan of Rimmel lipsticks recently. Have you tried their Moisture Renewed Range?